Last year, some important new research showed that prolonged exposure to fluoride can harm children’s developing brains and nervous systems. A new study, published in Environmental Health Perspectives – a journal of the US National Institute of Environmental Health Sciences – supports these earlier findings. Water was the only fluoride source in the studies reviewed and was based on high water fluoride levels. However, they point out research by Ding (2011) suggested that low water fluoride levels had significant negative associations with children’s intelligence. Choi et al. write, “Although fluoride may cause neurotoxicity in animal models and acute fluoride poisoning causes neurotoxicity in adults, very little is known of its effects on children’s neurodevelopment.” They recommend more brain/fluoride research on children and at individual-level doses. “It’s senseless to keep subjecting our children to this ongoing fluoridation experiment to satisfy the political agenda of special-interest groups,” says attorney Paul Beeber, NYSCOF President. 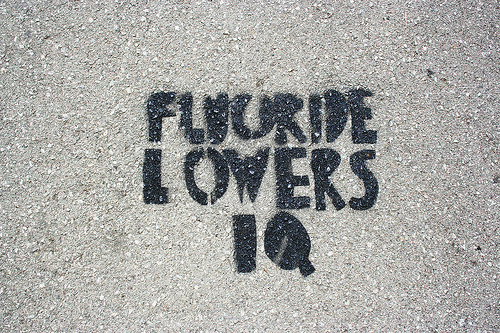 “Even if fluoridation reduced cavities, is tooth health more important than brain health? It’s time to put politics aside and stop artificial fluoridation everywhere,” says Beeber. You can access the study here. European Phase-Out of Mercury by 2018? That’s the recommendation of a new European Commission report, and considering that 1/3 of EU member states have already phased out, significantly reduced or strengthened restrictions on amalgam use, it seems the inevitable next step forward. dental amalgam is one of the main remaining uses of mercury in the EU…. In 2007, dental amalgam was the second largest mercury use in the EU after chlor-alkali production. Approximately 45 tons of mercury from EU dental practices end up in chairside effluents each year, only a part of which is captured and treated as hazardous waste in compliance with EU legislation, according to BIOS [Bio Intelligence Service, author of the report]. “Estimates developed in this study suggest that dental amalgam is a significant contributor to overall EU environmental emissions of mercury from human activities,” they wrote. 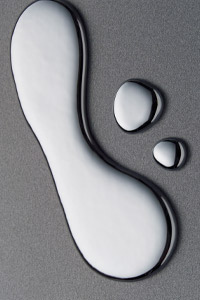 The article also mentions some of the reasons why more countries have yet to ban amalgam, from a lack of patient education to the need for many dentists to get more training in placing composites; from the higher short term cost of composite fillings to some dentists’ belief in the mechanical superiority of of mercury amalgam. And all these are, in fact, legitimate concerns that will need to be addressed. Fortunately, there’s the good model of Norway, which we recently told your about, as well as useful research showing that amalgam is the more expensive material in the long run. You can read more about the proposed phase-out here.